Estate Jewelry. 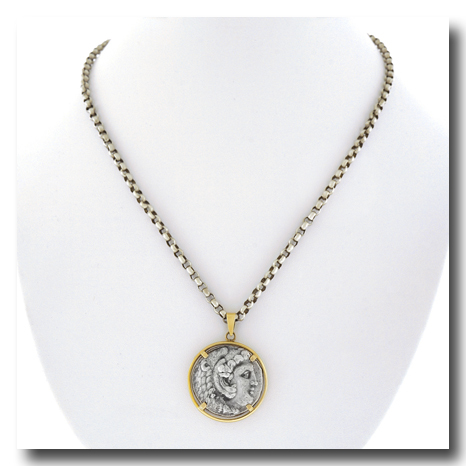 Circa 1970s, 18k, American A sleek 18k gold frame is the perfect foil for this large and particularly decorative ancient silver coin. 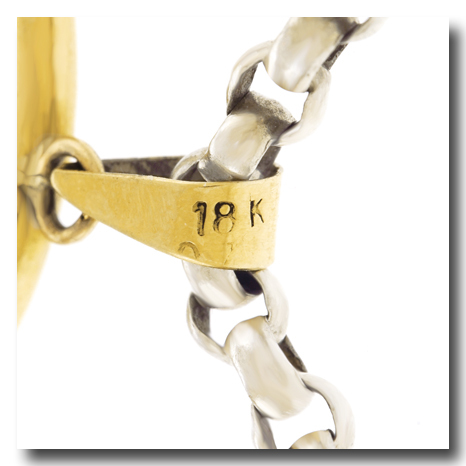 Included is the silver chain shown in the pictures. The look is casually glamourous, effortlessly town and country, and brilliant for heading into the city. 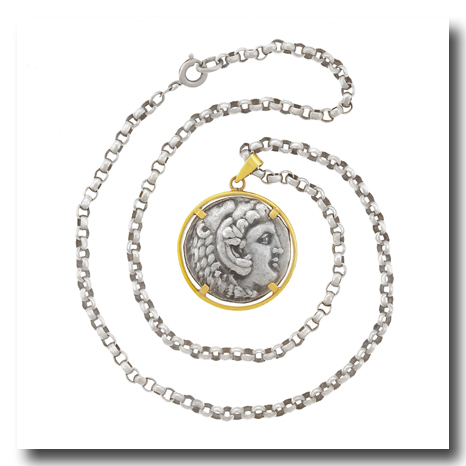 This necklace adds a stylish seventies look to any ensemble. 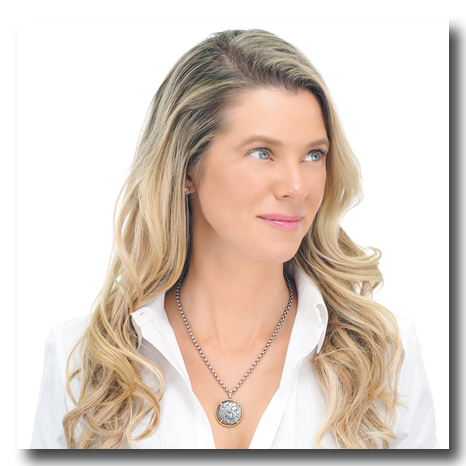 Combine it with other pendants or talismans for a mythic, spiritual vibe. 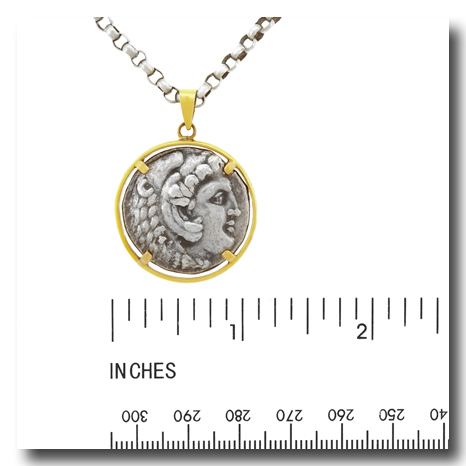 For over two millennia this coin has passed through the hands of nobles, warriors, shamans and brigands alike. 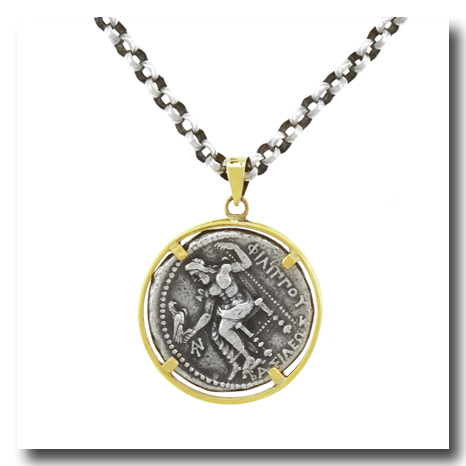 Grasp the coin in your hand and let yourself be transported; it has touched untold thousands, each with a story. Superbly designed and fabricated, it is in excellent condition. 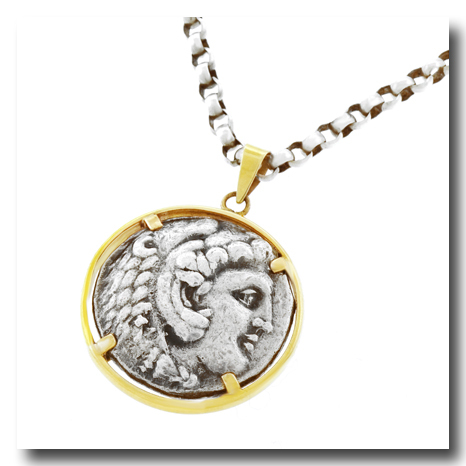 Stone Details: The silver coin is an authentic Greek coin from approximately 2300 years ago, this particular coin is rare.